A recent report published by Infinium Global Research on continuous renal replacement therapy (CRRT) market provides an in-depth analysis of segments and sub-segments in the global as well as regional continuous renal replacement therapy market. The report is a comprehensive presentation of trends, forecast and dollar values of global continuous renal replacement therapy market. According to the report, the global continuous renal replacement therapy market is projected to grow at a CAGR of 5.25% over the forecast period of 2018-2024. A recent report published by Infinium Global Research on dialysis market provides in-depth analysis of segments and sub-segments in the global as well as regional dialysis market. The report is a comprehensive presentation of trends, forecast and dollar values of the global dialysis market. According to the report, the global dialysis market is projected to grow at a CAGR of 4.8% over the forecast period of 2018-2024. A recent report published by Infinium Global Research on ultrasound market provides an in-depth analysis of segments and sub-segments in the global as well as regional ultrasound market. The report is a comprehensive presentation of trends, forecast and dollar values of the global ultrasound market. According to the report, the global ultrasound market is projected to grow at a CAGR of 5.5% over the forecast period of 2018-2024. A recent report published by Infinium Global Research on healthcare transportation services market provides in-depth analysis of segments and sub-segments in the global as well as regional healthcare transportation services market. The report is a comprehensive presentation of trends, forecast and dollar values of global healthcare transportation services market. According to the report, the global healthcare transportation services market is projected to grow at a CAGR of 4.7% over the forecast period of 2018-2024. A recent report published by Infinium Global Research on medical gas analyzer market provides an in-depth analysis of segments and sub-segments in the global as well as regional medical gas analyzer market. The report is a comprehensive presentation of trends, forecast and dollar values of global medical gas analyzer market. According to the report, the global medical gas analyzer market is projected to grow at a CAGR of 4.31% over the forecast period of 2018-2024. A recent report published by Infinium Global Research on gene therapy market provides in-depth analysis of segments and sub-segments in the global as well as regional gene therapy market. 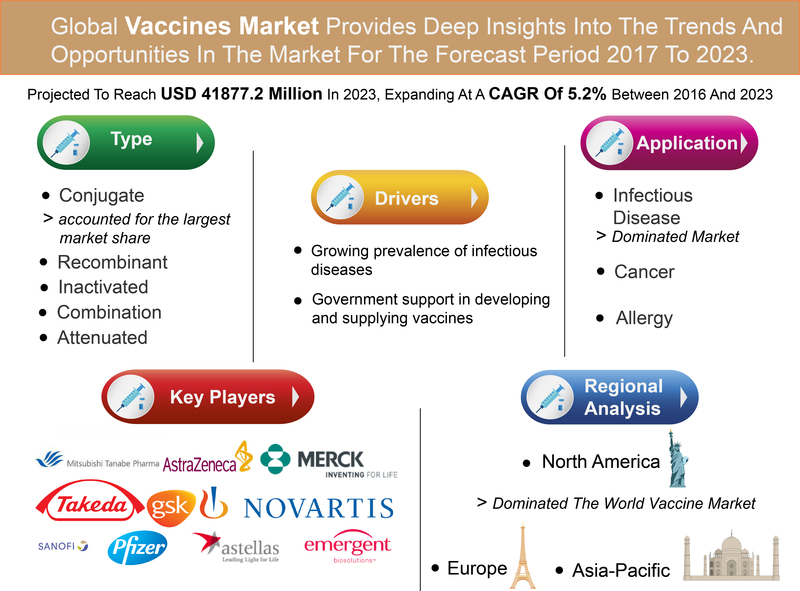 The report is a comprehensive presentation of trends, forecast and dollar values of global gene therapy market. According to the report, the global gene therapy market is projected to grow at a CAGR of 33.0% over the forecast period of 2018-2024. 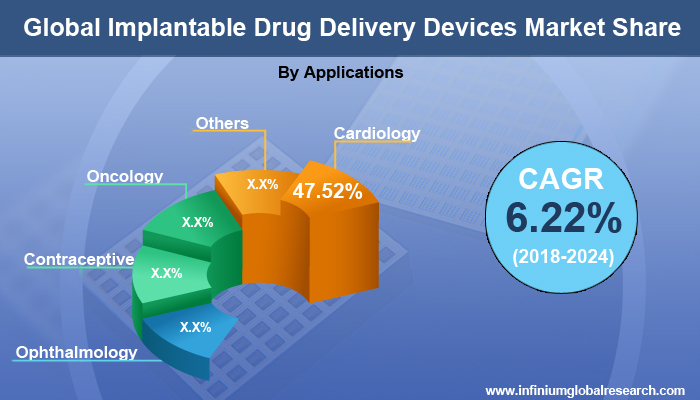 A recent report published by Infinium Global Research on drug eluting balloon market provides an in-depth analysis of segments and sub-segments in the global as well as regional drug eluting balloon market. 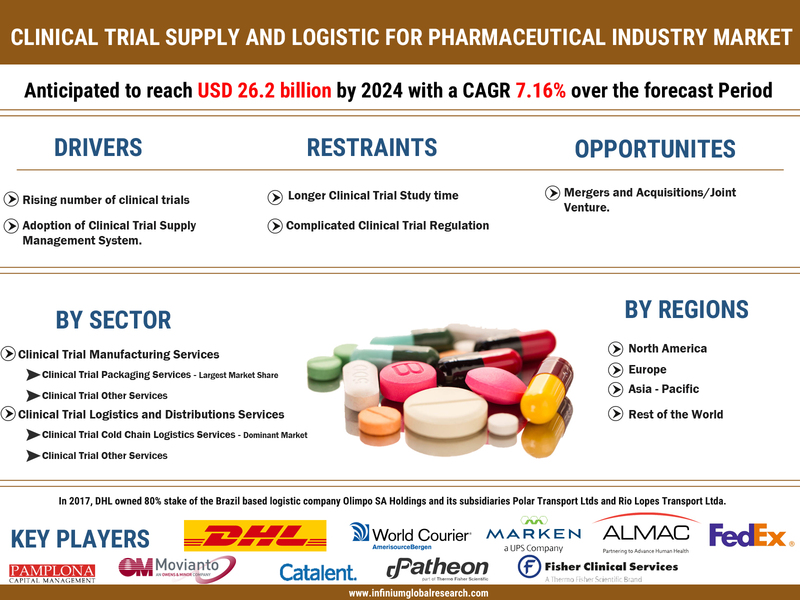 The report is a comprehensive presentation of trends, forecast and dollar values of global drug eluting balloon market. According to the report, the global drug eluting balloon market is projected to grow at a CAGR of 19% over the forecast period of 2018-2024. A recent report published by Infinium Global Research on ultra-low temperature freezers market provides in-depth analysis of segments and sub-segments in the global as well as regional ultra-low temperature freezers market. The report is a comprehensive presentation of trends, forecast and dollar values of global ultra-low temperature freezers market. According to the report, the global ultra-low temperature freezers market is projected to grow at a CAGR of 6.9% over the forecast period of 2018-2024. A recent report published by Infinium Global Research on veterinary ultrasound scanners market provides in-depth analysis of segments and sub-segments in the global as well as regional veterinary ultrasound scanners market. The report is a comprehensive presentation of trends, forecast and dollar values of global veterinary ultrasound scanners market. According to the report, the global veterinary ultrasound scanners market is projected to grow at a CAGR of 6.3% over the forecast period of 2018-2024. A recent report published by Infinium Global Research on inhalation therapy nebulizer market provides in-depth analysis of segments and sub-segments in the global as well as regional inhalation therapy nebulizer market. The report is a comprehensive presentation of trends, forecast and dollar values of global inhalation therapy nebulizer market. According to the report, the global inhalation therapy nebulizer market is projected to grow at a CAGR of 6.2% over the forecast period of 2018-2024. A recent report published by Infinium Global Research on baby care product market provides an in-depth analysis of segments and sub-segments in the global as well as regional baby care product market. The report is a comprehensive presentation of trends, forecast and dollar values of global baby care product market. According to the report, the global baby care product market is projected to grow at a CAGR of 5.3% over the forecast period of 2018-2024. A recent report published by Infinium Global Research on virus filtration market provides in-depth analysis of segments and sub-segments in the global as well as regional virus filtration market. The report is a comprehensive presentation of trends, forecast and dollar values of global virus filtration market. According to the report, the global virus filtration market is projected to grow at a CAGR of 11.7% over the forecast period of 2018-2024. A recent report published by Infinium Global Research on vascular stent market provides an in-depth analysis of segments and sub-segments in the global as well as regional vascular stent market. The report is a comprehensive presentation of trends, forecast and dollar values of global vascular stent market. According to the report, the global vascular stent market is projected to grow at a CAGR of 7.5% over the forecast period of 2018-2024. A recent report published by Infinium Global Research on cone beam computed tomography (CBCT) market provides in-depth analysis of segments and sub-segments in the global as well as regional cone beam computed tomography (CBCT) market. The report is a comprehensive presentation of trends, forecast and dollar values of global cone beam computed tomography (CBCT) market. According to the report, the global cone beam computed tomography (CBCT) market is projected to grow at a CAGR of 9.82% over the forecast period of 2018-2024. A recent report published by Infinium Global Research on microbiome sequencing services market provides an in-depth analysis of segments and sub-segments in the global as well as regional microbiome sequencing services market. The report is a comprehensive presentation of trends, forecast and dollar values of global microbiome sequencing services market. According to the report, the global microbiome sequencing services market is projected to grow at a CAGR of 20.5% over the forecast period of 2018-2024. A recent report published by Infinium Global Research on erectile dysfunction drugs market provides an in-depth analysis of segments and sub-segments in the global as well as regional erectile dysfunction drugs market. The report is a comprehensive presentation of trends, forecast and dollar values of the global erectile dysfunction drugs market. According to the report, the global erectile dysfunction drugs market is projected to grow at a CAGR of 6.8% over the forecast period of 2018-2024. A recent report published by Infinium Global Research on cardiac holter monitor market provides an in-depth analysis of segments and sub-segments in the global as well as regional cardiac holter monitor market. The report is a comprehensive presentation of trends, forecast and dollar values of global cardiac holter monitor market. According to the report, the global cardiac holter monitor market is projected to grow at a CAGR of 6.7% over the forecast period of 2018-2024. A recent report published by Infinium Global Research on cancer biomarkers market provides an in-depth analysis of segments and sub-segments in the global as well as regional cancer biomarkers market. The report is a comprehensive presentation of trends, forecast and dollar values of global cancer biomarkers market. 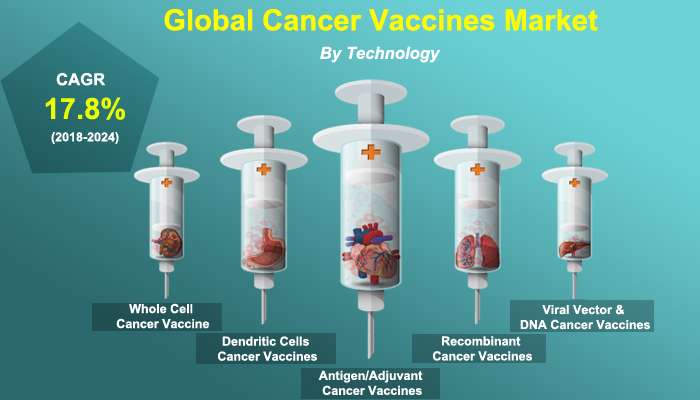 According to the report, the global cancer biomarkers market is projected to grow at a CAGR of 10.5% over the forecast period of 2018-2024. A recent report published by Infinium Global Research on portable medical devices market provides in-depth analysis of segments and sub-segments in the global as well as regional portable medical devices market. The report is a comprehensive presentation of trends, forecast and dollar values of global portable medical devices market. According to the report, the global portable medical devices market is projected to grow at a CAGR of 9% over the forecast period of 2018-2024. A recent report published by Infinium Global Research on legal marijuana market provides in-depth analysis of segments and sub-segments in the global as well as regional legal marijuana market. The report is a comprehensive presentation of trends, forecast and dollar values of global legal marijuana market. According to the report, the global legal marijuana market is projected to grow at a CAGR of 28.09% over the forecast period of 2018-2024. A recent report published by Infinium Global Research on cognitive and memory enhancer drugs market provides an in-depth analysis of segments and sub-segments in the global as well as regional cognitive and memory enhancer drugs market. The report is a comprehensive presentation of trends, forecast and dollar values of global cognitive and memory enhancer drugs market. According to the report, the global cognitive and memory enhancer drugs market is projected to grow at a CAGR of 8.4% over the forecast period of 2018-2024. 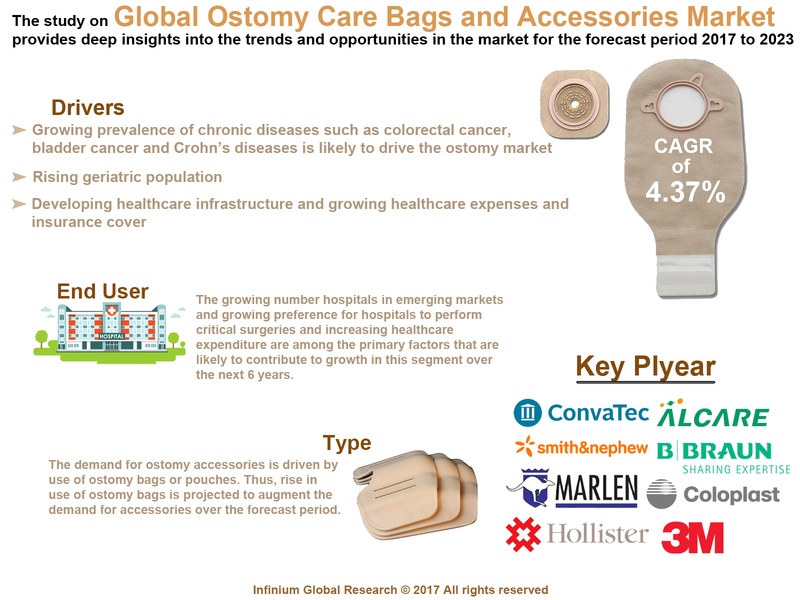 A recent report published by Infinium Global Research on medical fluid bags market provides an in-depth analysis of segments and sub-segments in the global as well as regional medical fluid bags market. According to the report, the global medical fluid bags market is projected to grow at a CAGR of 6.8% over the forecast period of 2018-2024. A recent report published by Infinium Global Research on brain tumor diagnosis and treatment market provides in-depth analysis of segments and sub-segments in the global as well as regional brain tumor diagnosis and treatment market. The report is a comprehensive presentation of trends, forecast and dollar values of global brain tumor diagnosis and treatment market. According to the report, the global brain tumor diagnosis and treatment market is projected to grow at a CAGR of 8.7% over the forecast period of 2018-2024. A recent report published by Infinium Global Research on medical disposables market provides in-depth analysis of segments and sub-segments in the global as well as regional medical disposables market. The report is a comprehensive presentation of trends, forecast and dollar values of global medical disposables market. According to the report, the global medical disposables market is projected to grow at a CAGR of 6.3% over the forecast period of 2018-2024. A recent report published by Infinium Global Research on microcarrier market provides in-depth analysis of segments and sub-segments in the global as well as regional microcarrier market. The report is a comprehensive presentation of trends, forecast and dollar values of global microcarrier market. According to the report, the global microcarrier market is projected to grow at a CAGR of 5.8% over the forecast period of 2018-2024. A recent report published by Infinium Global Research on insulin delivery system market provides in-depth analysis of segments and sub-segments in the global as well as regional insulin delivery system market. The report is a comprehensive presentation of trends, forecast and dollar values of global insulin delivery system market. According to the report, the insulin delivery system market was worth USD 9724.4 million in 2016 and it is expected to reach USD 14537 million by 2024. The global insulin delivery system market is projected to grow at a CAGR of 5.02% over the forecast period of 2018-2024. A recent report published by Infinium Global Research on ortho and osteobiologics market provides an in-depth analysis of segments and sub-segments in the global as well as regional ortho and osteobiologics market. The report is a comprehensive presentation of trends, forecast and dollar values of global ortho and osteobiologics market. According to the report, the global ortho and osteobiologics market is projected to grow at a CAGR of 6.24% over the forecast period of 2018-2024. A recent report published by Infinium Global Research on radiology information systems market provides in-depth analysis of segments and sub-segments in the global as well as regional radiology information systems market. The report is a comprehensive presentation of trends, forecast and dollar values of global radiology information systems market. According to the report the global radiology information systems market is projected to grow at a CAGR of 6.3% over the forecast period of 2018-2024. A recent report published by Infinium Global Research on 3D printing medical device market provides an in-depth analysis of segments and sub-segments in global as well as regional 3D printing medical device market. The report is a comprehensive presentation of trends, forecast and dollar values of the global 3D printing medical device market. According to the report, the global 3D printing medical device market is projected to grow at a CAGR of 17.5% over the forecast period of 2018-2024. A recent report published by Infinium Global Research on smart pill market provides in-depth analysis of segments and sub-segments in global as well as regional smart pill market. The study also highlights the impact of drivers, restraints, and macro indicators on the global and regional smart pill market over the short term as well as long term. The report is a comprehensive presentation of trends, forecast and dollar values of global smart pill market. According to the report, the global smart pill market is projected to grow at a CAGR of 19.57% over the forecast period of 2018-2024.